Receive instant alerts from your selected groups such as your daughter’s year group, music class or sport team. 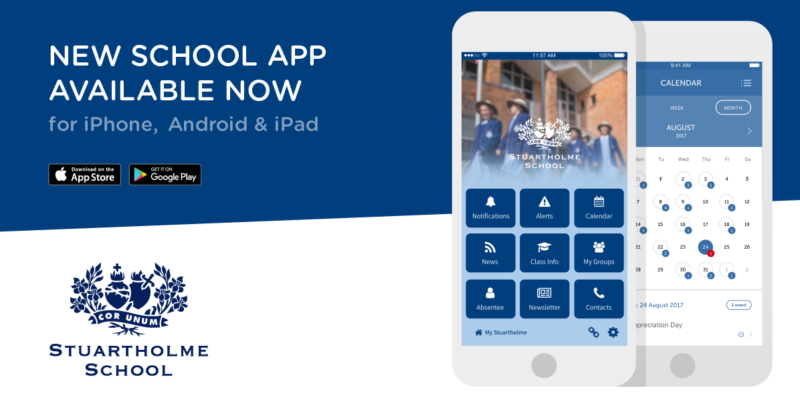 The Stuartholme App can be downloaded from the App Store (Apple devices) and Play Store (Android devices). Includes all versions of the Apple iPhone and Apple iPad. When you first log on, a pop up notification will appear click “Allow”. Tap Setting and then Notification Settings and make your selection. Includes Samsung Galaxy and Galaxy Tab, HTC Desire and HTC One, LG, Sony Xperia running on version 4 and above. Tap ACCEPT to approve the permissions requested.